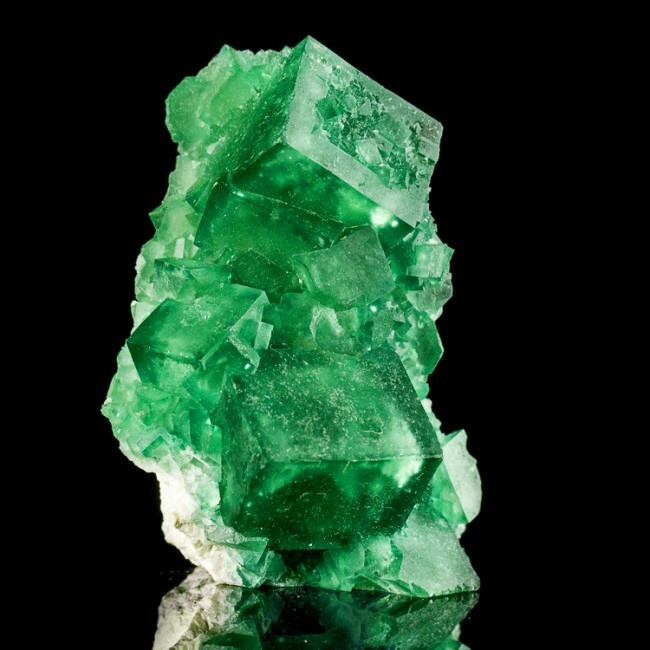 Size 2.8" x 2.0" x 1.8"
From a new find in Madagascar comes this colorful, richly dark green fluorite specimen. 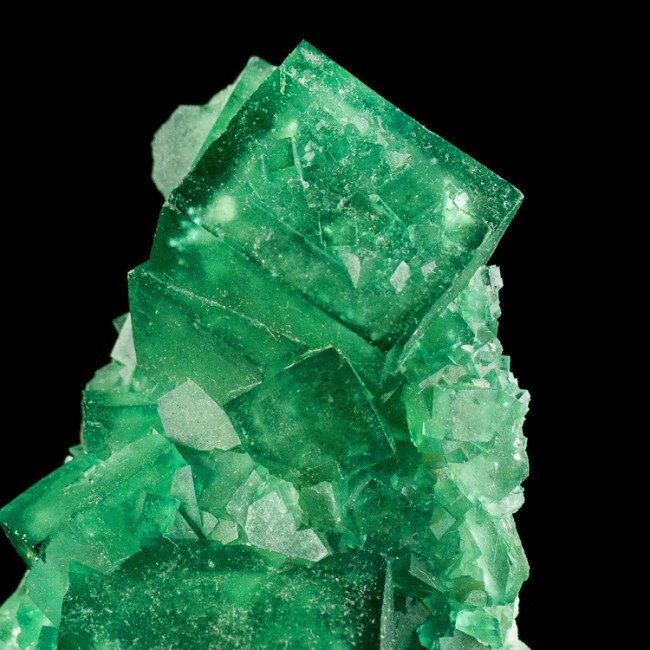 The cubic crystals are sharply formed and have good luster. 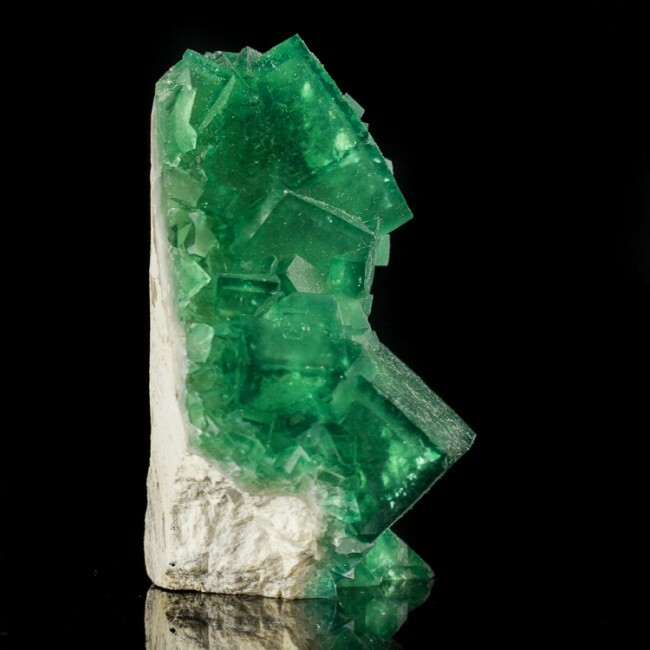 The outside .2" of the crystals shows phantoms that are darker green, and gem clear, while the insides are lighter due to air bubbles included in the fluorite. 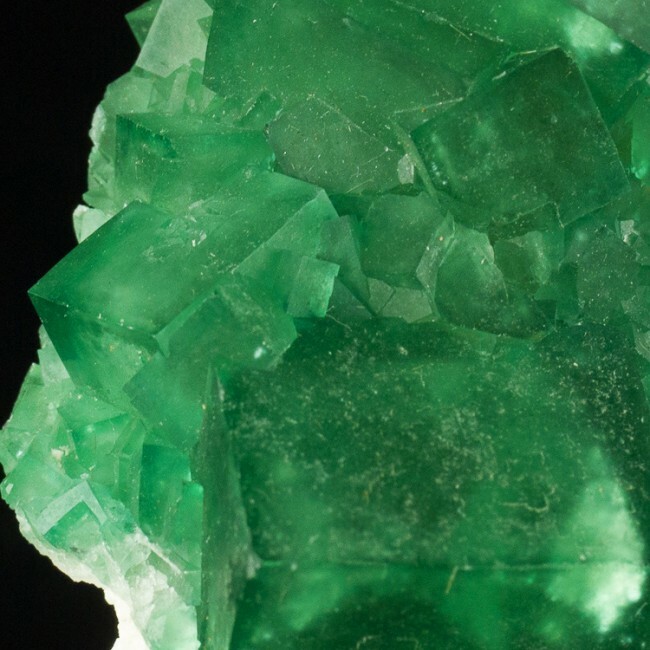 New to the market in Tucson 2019, this material comes from the only significant source of fluorite ever found in Madagascar. 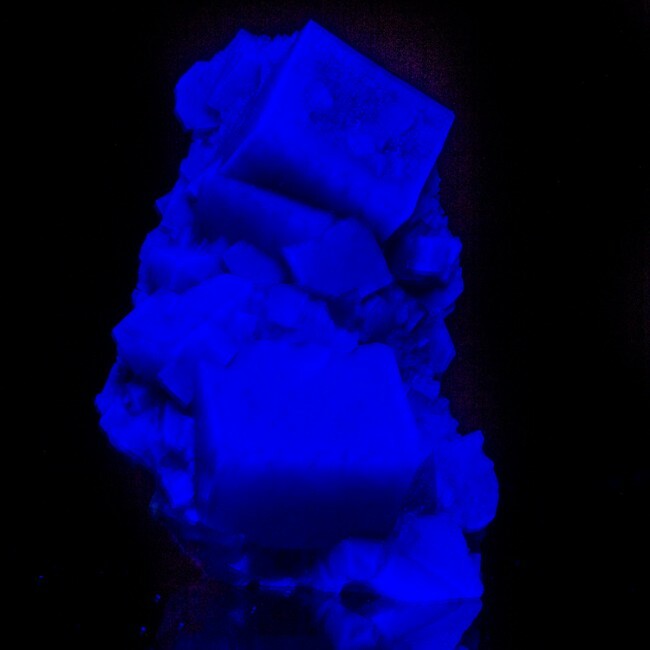 Fluoresces electric blue under LW UV light. Stands on its own on a sawn flat base.